The Italian island of Capri, on the south side of the Gulf of Naples, is probably one of the oldest tourist resorts in the world. Capri’s name may derive from wild boar (Greek), goat (Roman) or rocky (Etruscan) origins and there’s good evidence for all three possibilities. Capri has a very colourful history including Roman occupation, attacks and ravages by pirates, Ottoman Empire rule and even French troop occupation in 1806. But Capri’s true fame, in artistic circles at least, begun in the second half of the 19th century, when it became a popular with European authors and various celebrities. The German painter and writer August Kopisch was the author of “Discovery of the Blue Grotto on the Isle of Capri”. 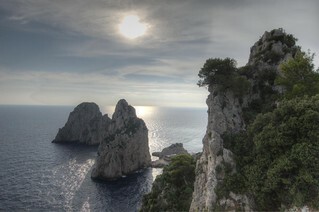 The composer Claude Debussy was inspired by the Capri countryside in his piece, “Les collines d’Anacapri”. Somerset Maugham’s short story, “The Lotus Eater”, was set on the island. “Greene on Capri: A Memoir” by Shirley Hazzard, published in 2000, was based on Hazzard’s friendship with fellow writer Graham Greene. 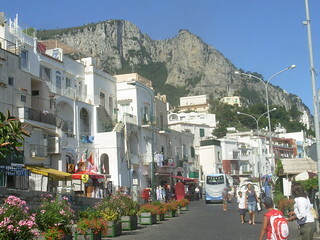 Due to the relaxed and permissive lifestyle, Capri was also an early haven for foreign gays and lesbians. Capri sights include the limestone crags in the sea (Faraglioni), the Imperial Roman villas ruins, the panoramic promenade Belvedere of Tragara and the Blue Grotto (Grotta Azzurra). 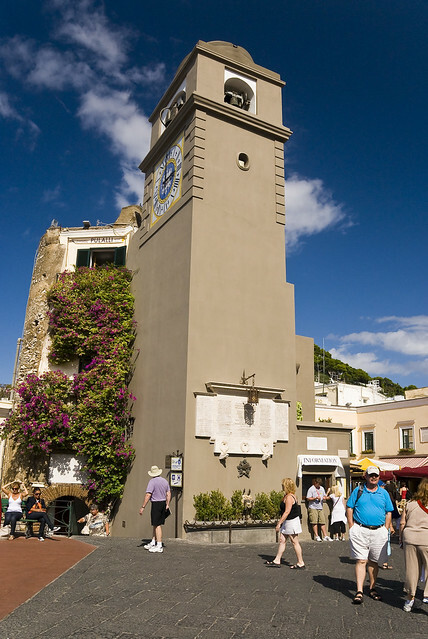 Capri’s two charming harbours, (Marina Piccola and Marina Grande – the main port on the island) are very picturesque. Annual events like the Capri International Film Festival in December/January, the Art Film Festival in April, the Festival of San Costanzo in May, the Tango and Sant’Antonio Festivals in June, the International Folklore Festival in August and the Anacapri harvest festival in September are also worth attending.